Read more Discount Code features and check out our Store. Are you constantly on the lookout for the best Grenson discount codes or Grenson discount vouchers? From our Black Friday deals and student discounts of up to 20% off, and with free shipping vouchers and Grenson discount vouchers, we’ve got you covered. We have the codes to help you get premium Grenson goods for a fraction of the retail price. So, no more eyeing up clothes you can’t afford – with these discounts, you can look good while saving some of those pennies at the same time. Greyson delivers practical, stylish and comfortable shoes every time. Being one of the most recognisable British footwear brands, Grenson has nailed the classic designs which are destined to take a man through his every day to day life with ease. So, with such an important brand with so many different designs, who wouldn't want some Grenson discount codes to help them bag a pair? 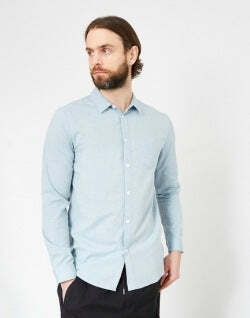 Best styles both casually and formally, there are so many Grenson styles to choose from. From a stylish brogue that can be worn with jeans, chinos or suit trousers to boots which are perfectly complemented with saw raw denim jeans, Grenson insures every style is covered. With our Grenson discount vouchers, you are able to get as many Grenson items as you please for that little bit cheaper. We understand that owning multiple pairs of shoes can get very expensive, especially when they're high quality, so we've got these Grenson discount coupons to help you out. 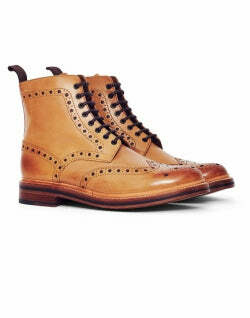 Never want to miss out on a Grenson sale again? If not, you need to sign up for our newsletter, where you’ll receive the latest editorial stories, Grenson discount vouchers, news and more, all delivered straight to your inbox. 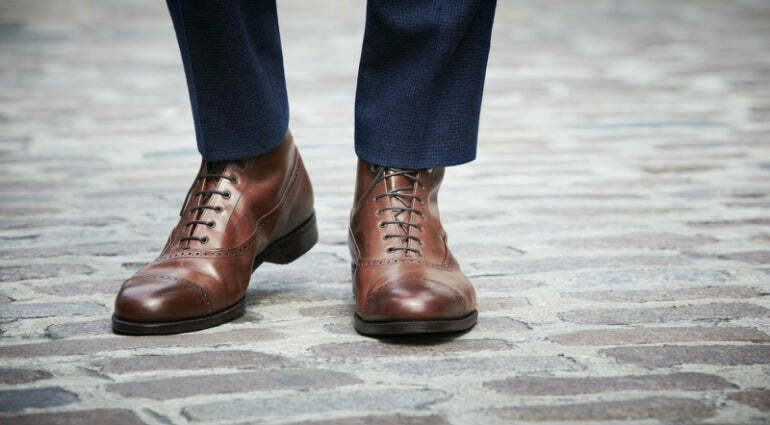 Being one of the first people to know will put you that one foot ahead to ensure you get the first choice of the Grenson goods on sale. And, to sweeten the deal, you’ll receive 10% off your first order from The Idle Man once you sign up, helping you to justify that impulse (and well earned) purchase. 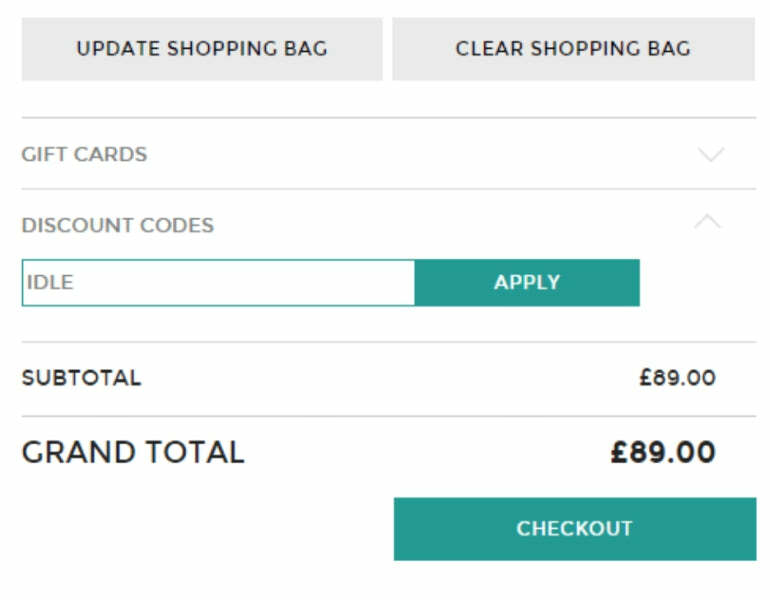 However great Grenson voucher codes can be, they can sometimes be confusing to get your head around. This is why we’re here to quickly guide you through them all. Firstly, if you spend over £50 at The Idle Man you’ll receive free shipping on your order, which is great for when you have spent a lot on buying a few different Genson styles and don’t want to get weighed down with extra postage and packaging. Do you know someone who loves a good deal just as much as you do? With our Refer a Friend scheme, both of you can receive a couple of useful Grenson discount coupons, discount vouchers and discount codes, without the hassle of filling out any online questionnaires and forms. 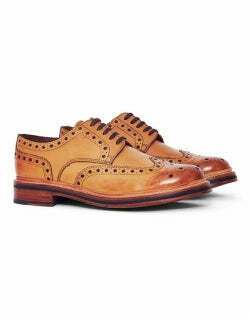 To get these, all you need to do is share your Grenson discount vouchers on social media or invite your friend via email, and by doing this, you’ll send them £5 worth of credit. You’ll then get £5 when they spend £30 or more in their first shop, which isn’t a bad deal at all. It’s a pretty good life being a student. If you’ve got a valid NUS or student card we’ll give you 10% off certain brands and products all year round, as well as 20% off at certain times of the year with our Student Discount. With all these Grenson discount coupons, you’re bound to find something you like. 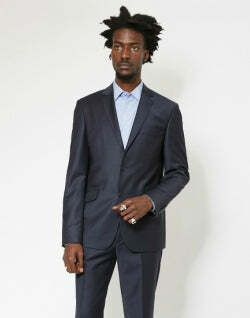 If you can’t find any Grenson discount coupons or Grenson voucher codes that you like then don’t worry. Other than our excellent list of Grenson discount codes, you can also look out for the November Black Friday sale where you will be able to get some great reductions across a whole host of brands. William Green started up his shoe company in 1866 from the comforts of his own loft in Northamptonshire, England. All of the shoes he made at this point were done by hand due to the lack of machinery, making them all exceptional in craftsmanship and each unique. In 1874, machinery was introduced into Green's career, thus he was able to create the shoes on a larger scale which eventually led to the opening of his first factory in Green Yard - one of the first factories to have Goodyear Welted method used for shoemaking. This was able to push Grenson forward and by 1895, Green's company got so in-demand that he was able to build his first state-of-the-art factory which became the home of Grenson for 118 following years. So when and why did the name change from Green to Grenson? Well, when William Green passed in 1901, the company was handed over to his son. In order to make the brand more 'modern', they decided to do a touch of rebranding. The same of the company was a part of this, and so they combined 'Green' and 'Son' to get Grenson - it's as simple as that.